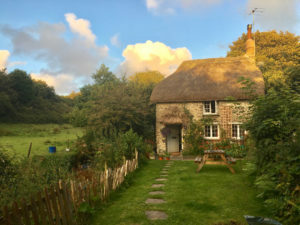 This very special tiny Elizabethan cottage occupying a secluded valley near the dramatic coast and less than two miles from Hartland village with its shops and three pubs, is an historic property and rumoured to be the oldest of its type in Devon. It is a charming and romantic getaway and a perfect honeymoon hideaway. One bedroom. Its unique position makes it a wonderful place to relax in natural surroundings and escape from the pressures of modern life. 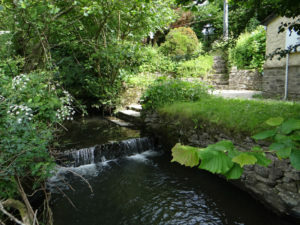 The welcoming and ever-present sound of the stream that flows a few meters from the front door, will carry away stress and soothe travail. Expect low ceilings and doorways, flagstone flooring, thick walls and uneven pathways. It has been the holiday home for the same family for nearly a hundred years, and while it has been updated for comfort and convenience, care has been taken to preserve the rustic simplicity that is its charm. The cottage has wifi, though please note that there is no phone and no mobile phone signal in this valley. Located in its own tranquil valley only two miles from the wild and rugged Devon coast, this snug hideaway is well situated for vigorous walks along the South West Coastal Path; its deserted beaches, windy headlands and wooded valleys. 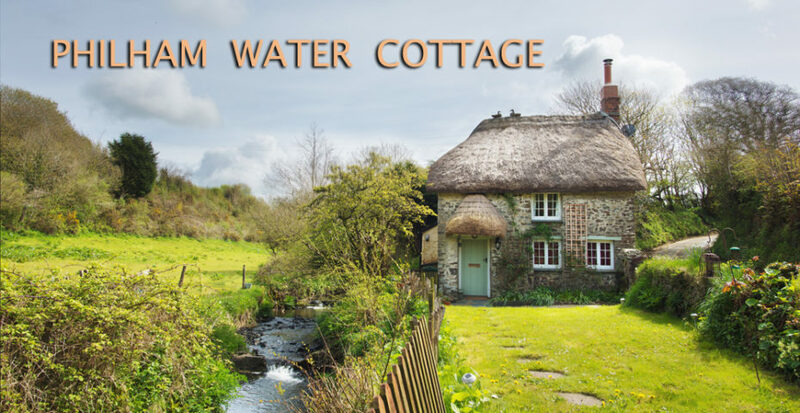 Staying at Philham Water Cottage will be a unique experience and perhaps a reminder of what it was like, back in the days when life seemed relatively simple. Most dogs will be welcome, but the owner requests that you contact her in advance, if you wish to bring one. by phone from UK: between 4pm – 11pm GMT (= 8 am – 3 pm Pacific Mean Time): 001-415-261-4431 – a free call/text message if you use FaceTime or WhatsApp or imessage/Messenger. Note: Contact details for the Philham Water Cottage property manager/caretaker will be available during your stay, for any on-site queries that may arise.